A blog is a platform that allows you to talk about your favorite topics or spread the word about your business or personal brand. But it can often become your job too. As you know, there are blogs of all types and any subject on the Internet, some more specialized and others more generic. Do you already have one? You will agree with us that it is a great way to increase your visibility and share your knowledge, right? 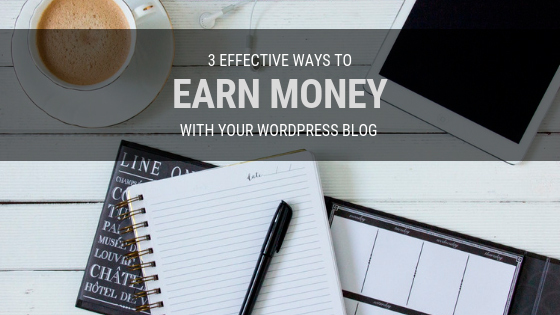 In this post, we will show you 3 of the most effective ways to earn money with your WordPress blog. In order to write a blog and get a good volume of traffic, it is not only necessary to plan your content (its creation and distribution) but also to work on research. You must be constantly innovating so that your posts are relevant and interesting. In other words, creating a good and well-known blog which has a certain reputation takes a lot of time and dedication. It seems illogical to work hard on it and don’t receive any kind of remuneration for the time invested. There are many people who write a blog just to spend time, but there are many others who are passionate about writing and being in touch with their readers. If this is your case, why not receive some economic benefits for the activity that you are so passionate about? Why not make a living as a writer or blogger? Many would be surprised how much they can enjoy working on what they really like, since they wouldn’t see it as a job but as a lifestyle which gives them the wonderful opportunity to receive something in exchange for their talent and effort. If you run a popular blog, it is not unusual for brands or companies to start contacting you to offer you money or products in exchange for a review, a mention, or advertising of their web platform. This is a very good sign that should make you think about monetizing your blog. If your content is good enough that you receive an advertising offer, why not taking advantage of it? It’s always important to value and keep in mind your hard work. If you have a good number of readers, it means you are doing something right. And if other people want to give you merit for that, it’s not bad to accept what you really deserve! There are countless ways to monetize a blog. We’ll see 3 of them which we think are some of the easiest and more effective to start with. We will explain as clearly as possible each of these 3 options so that you can easily understand and decide which is the best for you according to your writing style and blog’s theme. This will give you a good overview of how to start monetizing your blog. The so-called affiliate programs are some of the most famous when it comes to monetizing blogs. This possibility through affiliate links allows you to earn a commission for each product that is sold from a buyer who has clicked on your link. There are many affiliate platforms, such as Amazon, where you can choose between different options. On the one hand, there are product links where you have the option to add a text link with an image, add only a text, or just one image. On the other hand, there is a web bar option which consists in creating an html code and embedding it in your website. Finally, you can also put widgets and banners. There are many platforms which allow you to sell sponsored posts to different advertisers. Brands are willing to pay bloggers who share their content while you get paid for reviewing or mentioning their product. Publisuites is one of these platforms that connects bloggers and publishers with brands and advertisers. Firstly, it allows bloggers to have a source of content monetization, who choose the price they want to charge for each sponsored post. And secondly, it allows brands interested in promoting their products to hire them and increase their visibility. Google AdSense is a tool for online advertising which allows bloggers to earn revenue through ads on their web platforms. When signing up, Google will place a simple code on your WordPress blog which will identify content and automatically start displaying targeted and relevant advertisements. 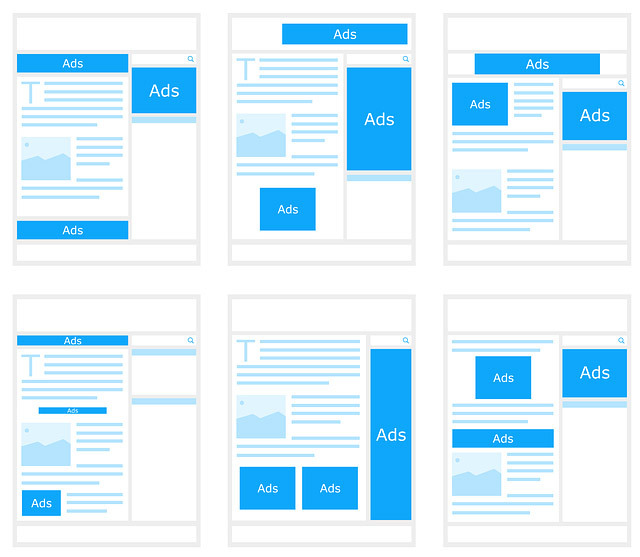 Although you cannot choose which ads to show, you can customize their look and feel to match your blog. Finally, this tool works with a Cost Per Click revenue model (also known as CPC): you earn money anytime a visitor clicks an advertisement. Any of these ways will help you earn money with you WordPress blog, but there is a fourth method which consists in combining all the above strategies. This way you can cover all of the options, find out which works best for you, and improve your income. However, remember that you must be constant and committed to your blog’s project. It is worth nothing making an effort to monetize your content if you don’t have the necessary resources to keep it afloat. Running a blog and make money with it takes work, so it’s important that you enjoy writing and be sure that this is an activity you want to dedicate time. This will actually make easier to add real value to your content and have a large number of readers interested in your posts. Author Bio: Chus Naharro is CMO at Publisuites. You can find her on Twiter as @chusnarrolo.